I just love a skirt in the summer. Nothing fancy or lined, I just want a plain old skirt to wear. A-line is my favorite shape, and Butterick 4461 is my favorite pattern. It’s not too fancy. I can dress it up or down, and it is so much cooler to wear than shorts or pants in these hot Houston summers. I made this version last year for the rodeo and got a ton of compliments. I used a Texas wildflower print by Michael Miller Fabrics. I made this version this winter while wishing for spring. Sadly, I have already gotten to wear it and am wishing summer away. I made this version around the same time. Sadly my iron wigged out and burned a hole through it. Le sigh. It was really beautiful. I was thinking of the best way to do a sew along. Butterick 4461 the first skirt I ever made, so a very beginner could do it, but now I like fancy seams and new techniques that I would like to share. Here is what I came up with: I am making two versions of the skirt. The blue one will be a skirt that uses more advanced techniques. The pink one will be a version that uses very basic techniques that a beginner would benefit from. Think of it this way, have you ever gotten an exercise video and the crazy buff trainer in front says if you are having any difficulty you can follow the one person doing a low impact workout? The pink skirt will be low impact and the blue one will be all out. You will be able to switch techniques I show on both skirts, and maybe you can teach me a thing or too. Advanced technique blue skirt. Isn’t it cute? I know A-Line skirts are not for everyone. If you have a simple skirt with zipper in another shape, you may be able to follow along as well. I’m happy to try to answer any questions you have about this. In the meantime go get your pattern and fabric. As for zippers I will show how to do both an in seam zipper and an invisible zipper, so go nuts! I’m off to complete my first important step: washing and drying my fabric on hot before I cut my fabric to thwart any washing and drying disasters in the future. I hope you do the same, and we’ll cut out fabric and patterns soon! Good question! Sometimes my husband will do the laundry and not pay attention to temperature settings. We had an incident not long ago with a dress I had made that I had prewashed on a regular setting that he washed after it was completed on hot after several typical washings. It shrank and pulled, and I don’t think it will ever fit again. That was a huge lesson as well as a waste of money,energy, time and being upset with my husband. Now, in an effort to save my marriage, I wash on hot first to be proactive instead of reactive when someone else does laundry. If you have an alternate arrangement, washing on hot may not be necessary, but do pre-wash your fabric. 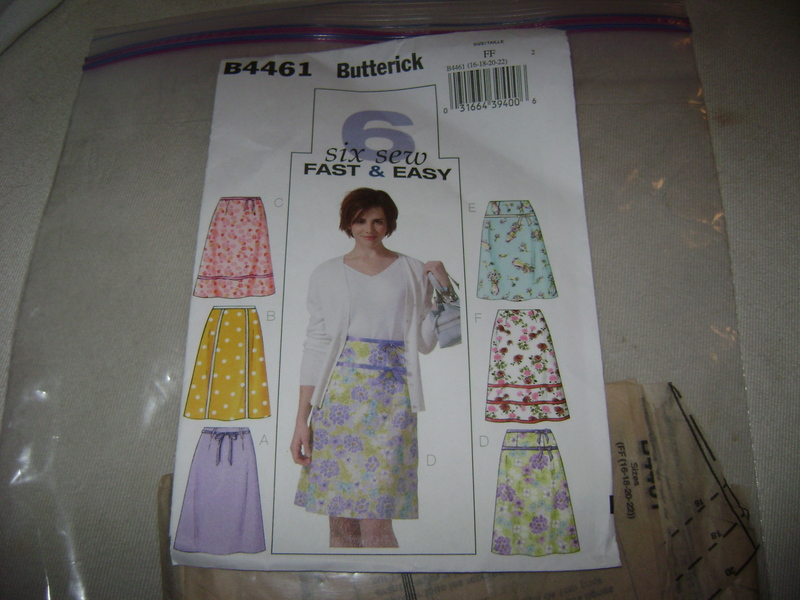 This entry was posted in Clothing, Project Tutorials, Sewing FYI and tagged butterick 4461, sewing tutorials, skirt sew along on March 7, 2012 by staciethinks. Staci, I am so in love with the blue version. Is that little blocks you plan to sew on ? or is it a border on the fabric? I love,love it.. I also really like the pattern. When will the sew a long start? I have to drive an hour or so to buy the butterick pattern.. So I am hoping I will get to get the pattern and join in.. I love that blue fabric too. 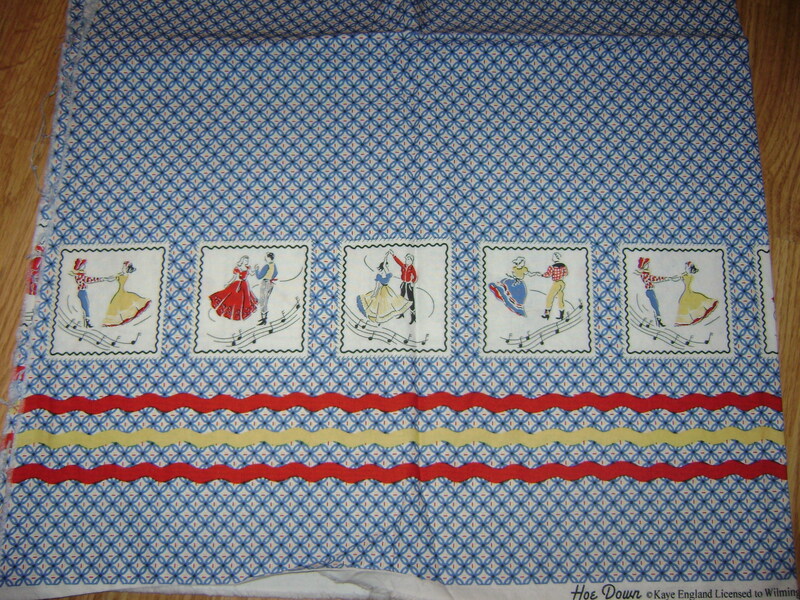 The squares and rick rack are all part of a border print. 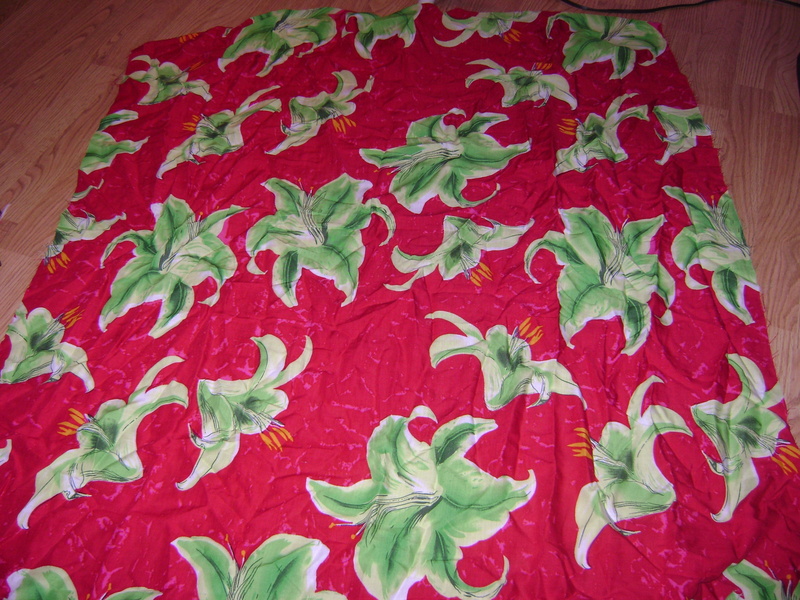 I thought it would be a lot of fun for a skirt, but they only had one yard left! This is the perfect project for fabric you love but don’t have much of. I plan on posting about cutting out fabric on Saturday, but don’t rush to get your pattern. The nice thing about a blog sew along is it will be here and if you need to catch up you can. I’m glad your excited and can’t wait to get started! Thanks Staci, I will try to get my pattern this next week.. My husband had back surgery and is having a rough time..So its kinda hard to get to a fabric store right now..But I will get it soon..